Dutch firm Avantium and Germany’s BASF joint venture company Synvina will extend the pilot phase for its new polymer PEF (polyethylenefuranoate in order to optimise future commercial-scale production. Synvina has now completed a broad feasibility assessment for commercial-scale production of FDCA (furandicarboxylic acid) in its Reference Plant intended to be built in Antwerp. 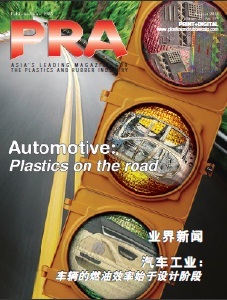 FDCA is the main building block for the new polymer PEF. The assessment looked at product performance, market appetite and technical process. 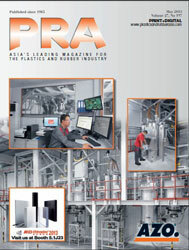 The assessment confirmed that product performance and customer demand are strong. In the technical process evaluation, Synvina identified some steps that require improvement. It recommends undertaking additional development work on these steps, to ensure the most efficient process and best product for current and future customers. As a result, Synvina intends to extend the pilot phase, which will in turn extend the timeline to start up the Reference Plant by 24 to 36 months. “The confidence of Avantium, BASF and Synvina in the product performance and its market potential has only increased since Synvina was founded. Encountering technical challenges is not uncommon in innovative, ground-breaking technologies of this kind. 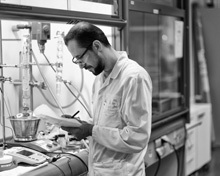 Synvina is working closely with BASF and Avantium to resolve these challenges. We are all confident that this will result in a production process that runs smoothly and reliably, and a product that is as pure as the market demands. We believe the Reference Plant will be operational in the 2023-2024 timeframe,” says Avantium CEO Tom van Aken. Synvina was established in October 2016 with the intent to build and operate the Reference Plant. This will be the first commercial-scale plant to produce FDCA, the breakthrough building block for the polyester PEF with superior performance, which is suitable for food and beverage packaging, automotive applications and carpet and textile fibres. Netherlands-headquartered Avantium develops processes and sustainable products made from biobased materials and is listed on Euronext Amsterdam and Euronext Brussels.